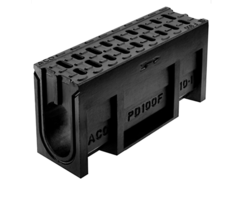 ACO RoadDrain® is a tough one-piece channel drainage system ideal for medium- to heavy-duty highway, distribution yards and airfield applications. 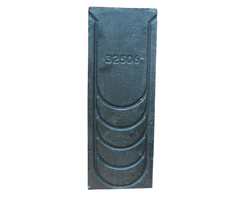 Manufactured from Vienite, ACO high-strength recycled polymer concrete, the one-piece system is strong and robust in design and the absence of separate gratings eliminates the risk of loss or vandalism. 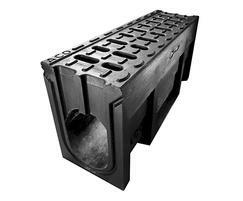 The integral channel and grating design also improves the inherent strength of the system. 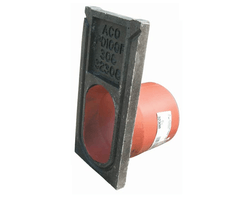 Most significantly ACO RoadDrain® carries the BSI Kitemark which ensures that the recycled materials and the process used to manufacture it, produces a consistently high-quality BS EN 1433: 2002 marked product. 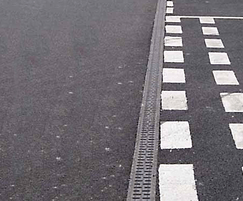 The product is also fully compliant with national highways and transport agencies (UK) and National Roads Authority (ROI) requirements for motorway and major trunk roads. 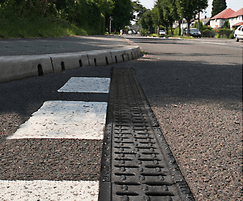 ACO RoadDrain® is available in two channel widths; 100 and 200mm and has a variety of depths to suit many design schemes. 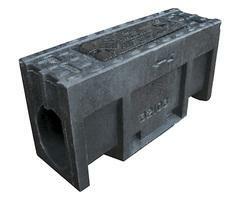 Each unit within the range is 500mm in length to enable quick and simple installation. 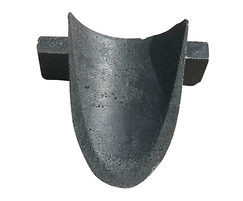 The system has a full range of accessories for simple connection to underground drainage. 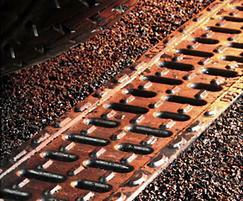 System maintenance is simplified by using ACO RoadDrain® rodding access units. 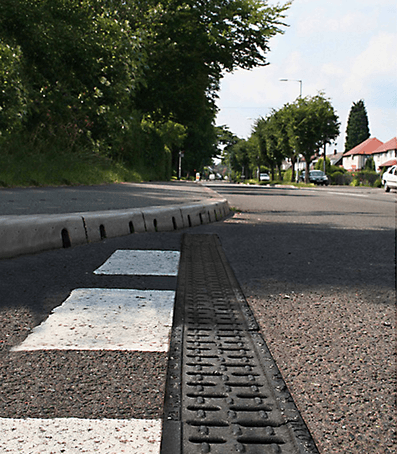 ACO RoadDrain® is certified to BS EN 1433: 2002 and can support Load Class performance up to and including F 900, which is ideal for very high wheel loads including airports and docks. 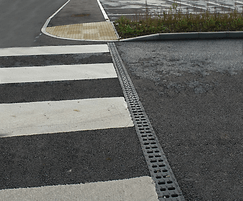 The objective was to enable surface water run-off generated from the site’s refurbished car parks to be managed within a sustainable drainage system that supports a series of visually striking landscaped retention ponds.